TGIF! 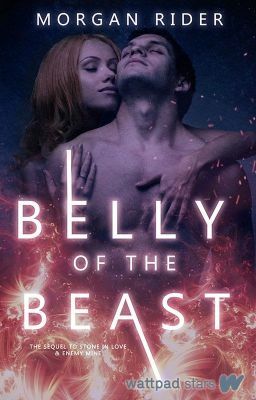 New chapters are up for Belly of the Beast and Redemption Man. Cheers to the freakin' weekend. Good luck to her for her new journey in life. @SnehaDarira  Same to you. My daughter got married yesterday, so I have the whole family here celebrating. @thefallen_96  I'm just tickled that you're enjoying my stories. Your lovely compliments really make my day. It's positive feedback from readers that makes the endless hours of writing all worth it. Thank you for taking the time to share your thoughts with me. I just complete Lexi's trilogy and I'm bamboozled to say the least. The way you have moulded Greek mythology with current reality of our earth and given it your own twist is splendid. Who knew one could fall in love with the Lord of the Underworld haha! @agatharoza  When I realized Entwined was your story I immediately added it to my reading list. Clearly, there are many more out there who think you are wonderful. I love your updates. I've especially developed the habit that between updates. I like to go back an enjoy the previous books. So guess who is gonna be Rereading Vincent's an Reese's romance from the start. @missadriana27  I'm so glad you're enjoying the new story. It's great to see familiar faces reading and voting. It's like a shot of adrenaline. Have fun revisiting the originals. I do the same thing whenever a new Storm and Silence book comes out. It does seem like demons are more fertile, but I've written gollums and demons as having difficulties with producing offspring. Christoph makes a comment about this in Chapter 18 during his phone convo with Reese.